***** New Version Launch Special Sale for a Limited Time!!! 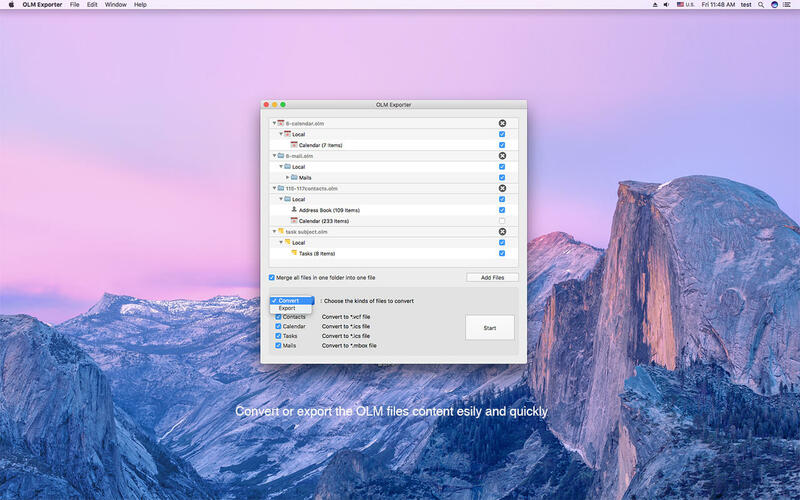 The OLM Exporter has the ability to quickly convert and export your Outlook for Mac data file (.olm) contents. The app will easily do its job not just flawless, but within minutes, taking care of your items during the conversion, making sure that NOTHING is: lost, modified, or corrupted in any way! * Convert your Contacts from OLM files to .vcf file format. * Convert your Calendar/Tasks from OLM files to standard .ics file format. * Convert your Mails from OLM files to standard .mbox file format. You can import these mbox files into Apple Mail, Microsoft Entourage or any other mail client compatible with mbox format on Mac. * Export Contacts from OLM files to Apple Contacts(Address Book) app. * Export Calendar events from OLM files to Apple Calendar(iCal) app. * Export Tasks from OLM files to Apple Reminders app. 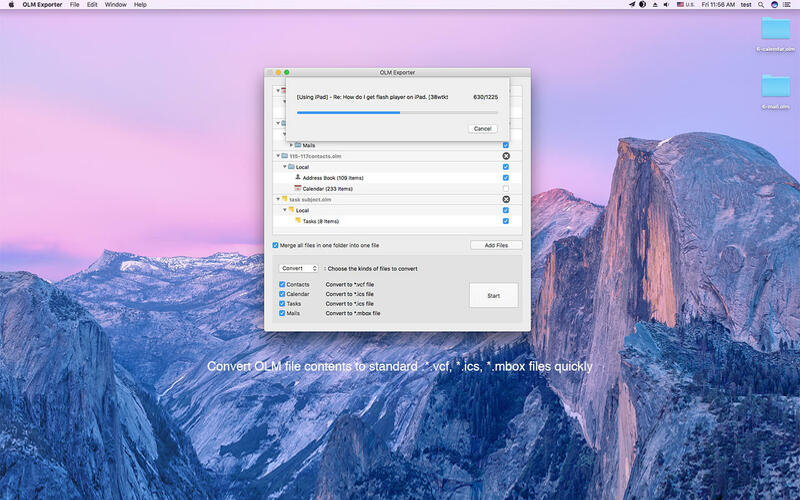 * Very easy to use but advanced and much faster way to convert and export your OLM files directly on a Mac. * Batch add multiple OLM files from different locations and export all contacts/calendar/tasks in one go. * Support handling any size of OLM file. * You can add OLM files using Drag-n-drop. * You can also choose to merge all files into a single file for better portability and data backup. * You never loss your sensitive email contents. * Well compatible with macOS Sierra 10.12! To get the latest giveaway and updates news. 2. Full Compatible with macOS Sierra 10.12. Other Apps by Enolsoft Co., Ltd.